We’re really excited to share the launch of our integrated algorithmic mastering tool, which empowers everyone to create perfectly polished, radio-ready tracks—fast, simply and most importantly—for FREE. To musicians, mastering is an important step in the creative process that brings an audio mix to distribution-quality. When a song is played on a radio or streaming service, the sonic elements of the track have usually been finely balanced to ensure that everything is sounding its best. Mastering is an important addition to our native creative toolset and integrates seamlessly throughout your workflow in the Mix Editor. 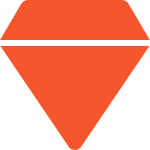 Like our entire BandLab platform, this new service is 100% free for all users. Unlike other services, with our mastering tool there are no hidden charges, monthly fees, or limitations on quality, and most importantly – we don’t take any named-credits on your production notes. We designed BandLab mastering using cutting-edge modelling technology, paired with the work of the best mastering engineers from the BandLab community. We’ve developed emulations of classic mastering processors to accurately create an industry standard audio signal-chain, including models of the vintage Aphex Aural Exciter™, detailed transient shaping through reel-to-reel tape emulators, a robust multi-band compressor, and a lightning-fast, discrete mastering limiter. Mastering is an art, not a science and despite the technological achievements of this release, the human ear will always be the most accurate and delicate piece of music equipment ever created. There will always be a need for mastering professionals, we hope this service will bring more recognition and therefore opportunities to the professional mastering engineers who are part of the global BandLab community. As well as this new feature being free, it is also fast and easy to use—whether you are a regular BandLab user or completely new to the platform. If you are new to BandLab you can try out our mastering by heading to www.bandlab.com/mastering—drag and drop a completed track and instantly preview what the mastered track will sound like. Choose what sounds best to you, sign up, and download the mastered track from your projects instantly as a high-quality MP3 or WAV. If you are a BandLab user already you can seamlessly add mastering into your current workflow with our integrated tool for web (mobile to follow soon!). 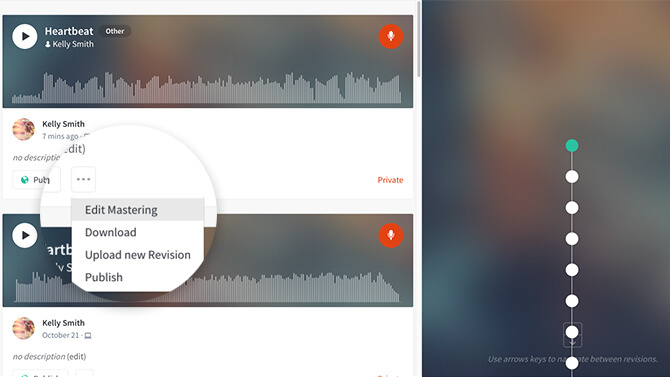 Every time you save or upload a new revision, you can choose from Automated, Manual or Off, if your track is already mastered. Another way to integrate mastering into your workflow is using the drag-and-drop functionality in the Tree View. Head to ‘Projects’ click the track you want to add a revision to, drag the track over the existing version and drop it in. Next you will see the save screen pop-up with mastering options to choose from: Automated, Manual or Off. You can also re-master all of your existing tracks on BandLab. Select the song in your projects you want to master and choose the option from the dropdown menu. 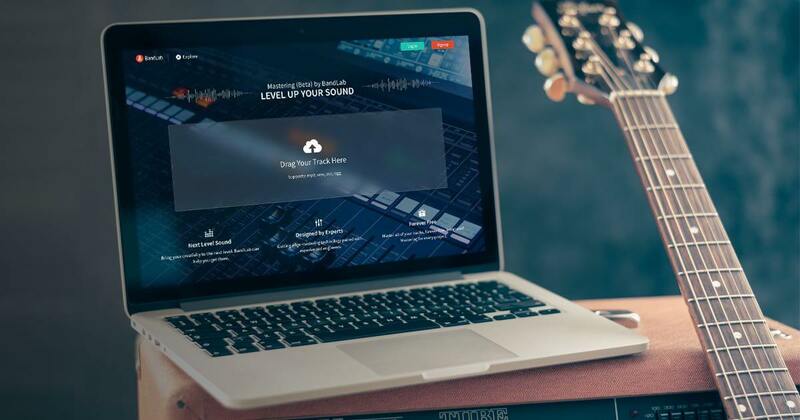 BandLab’s new online mastering service is the first tool of its kind with free unlimited use that is compatible with all major music formats whether you share your final mastered tracks across the BandLab social music platform or download the finished work as a high-quality version ready for distribution to other services. Watch this space as we add-to, and develop mastering on BandLab. We can’t wait to hear what you create!